For those who like going to see catwalk shows and reviewing the year’s trends, London Fashion Week is the holy grail representing the British Fashion Industry. However, press accreditation and possible jobs there are limited to just a few people, while the rest are already in the fashion industry. However, the London Fashion Weekend is held right after the main thing and is slightly more relaxed- with shopping and make-overs, it resembles an exclusive boutique, fashion college and designer stage in one, as everything is available here. There are multiple brand stalls, fashion talks and catwalk and trend shows throughout the four days. Not to say it does not have some serious downsides- for one, industry specialists are rarely there if you would want to talk to anyone other than designers, and the venue gets more crowded with each year, with anyone being able to buy a ticket and simply walk in. Some exclusivity is maintained through the VIP and Gold ticket selection, however there is still room for improvement! Last time I went for all the catwalk shows and trend shows throughout the day, which was fun as I got to see the inside work behind the collections, and the designers that do show are well-known, and they put equally large amounts of effort into showing at London Fashion Week and at the weekend. This time however I wanted to focus more on the talks, and as I came down to London last minute the talks were the only event still available (lucky me!). 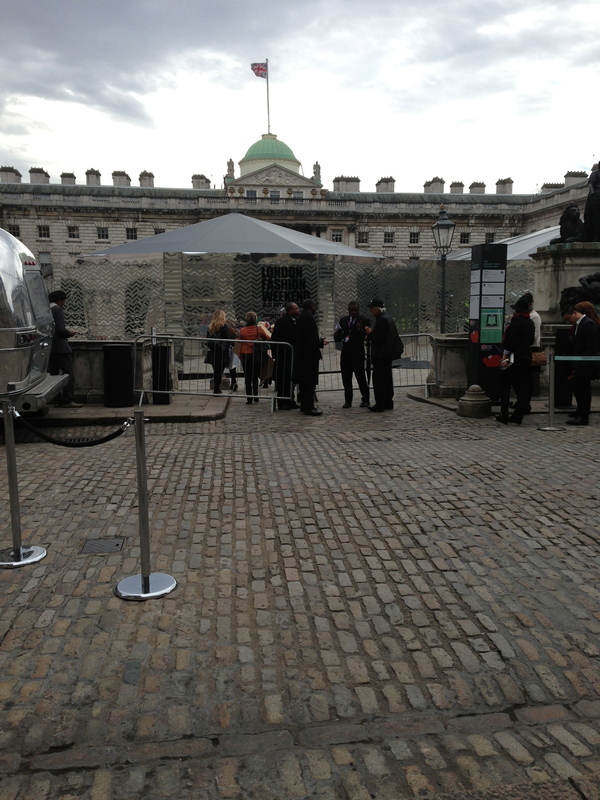 The London Fashion Week venue is spectacular- Somerset House is one of the only remaining mansions on the banks of the river and it’s space has now been converted into two galleries, a couple of cafe’s, and, twice a year, the only location to find the latest trends and designers in London. This year, Somerset House was extremely busy most probably due to the layout, where half of the previous talks could not fit even thirty people, which meant that some of the more interesting discussions (hello Alexander McQueen Savage Beauty exhibition talk) were a little too packed to get in. The time spent looking around the stalls and venues, where you can buy anything from patterned socks, jewelry and discounted designer scarves to a steam press (!) brought me back around to the next talk held in the wing. Hilary Alexander OBE needs no introduction to the fashion conscious, however a brief introduction may be necessary. Fashion journalist, professor, broadcaster and writer for multiple magazines, her range of skills go beyond standard fashion experience. 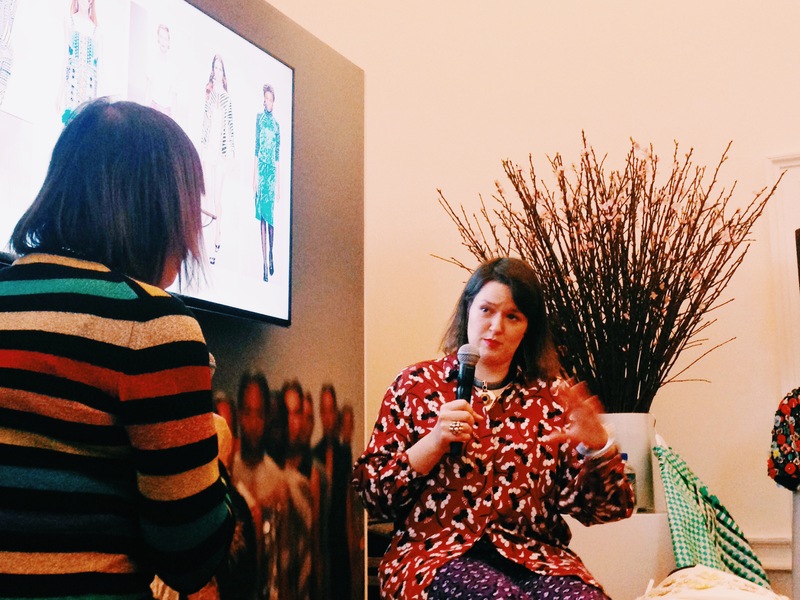 Yet she managed to take time out of her busy schedule to help the British Fashion Council with the relatively demure London Fashion Weekend and interview one of the best Scottish designers- Holly Fulton. Now Holly is one of those people who hasn’t let go of their art college education, her love of fabrics, the mastery of small embellishment work… that passion speaks volumes more than what she says. She gets inspired impulsively- a little bit of research by her faithful team, her own discoveries through travels, the love of civilizations past and modern materials all come together on her clothes. 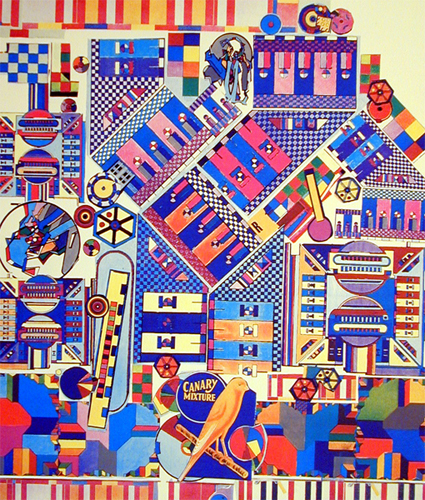 Hilary worked through the inspirations of a couple of Holly’s collections, focusing on Mayan and Egyptian influences, although I do remember Holly mentioning the artist Eduardo Paolozzi as a key influence. The comparison between the two certainly shows some similarities! Holly is the kind of person that art college graduates love- she moved from sharpie patterns to digital printing, and loves to be hands on with her creations, usually doing at least some of the embellishment on her own. The actual designs are relatively simple- there is no need to focus on the sixties outfits when the busy patterns take the eye away from the shape and focus on the use of colour and geometrical shapes. Her team are her eyes and ears when it comes to researching patterns and materials- along with Mary Kantrantzou and other young designers she would rather conform tough materials to her liking than give up and use something easier. In this way, she has used mother of pearl and wood, and changed cork floor tiles into small embellishments used for her designs. 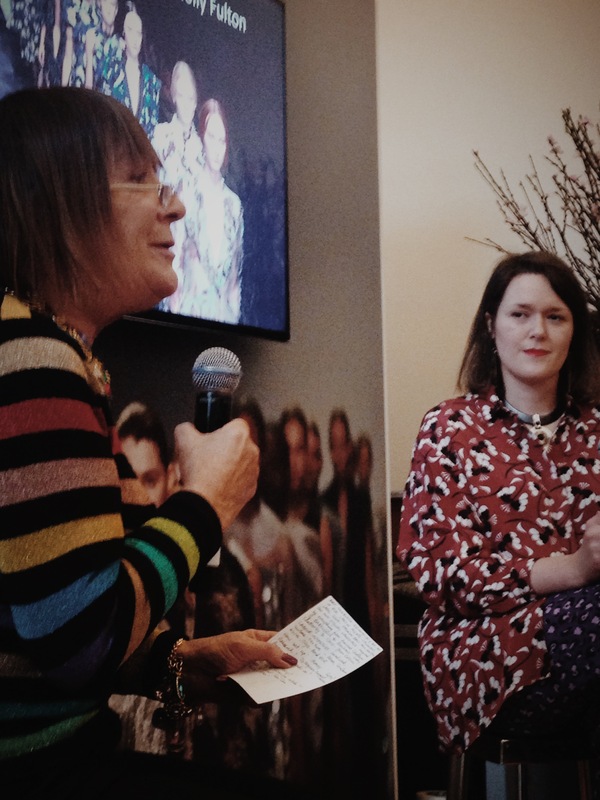 The younger fashions are certainly branching out further than just the UK- the designer answered couple of questions from the audience, including if the company was catering for the wider market. No fashion brand nowadays can sit contently on the laurels of a good collection- ethical trading and responsibly sourced materials are increasingly important for high fashion brands. 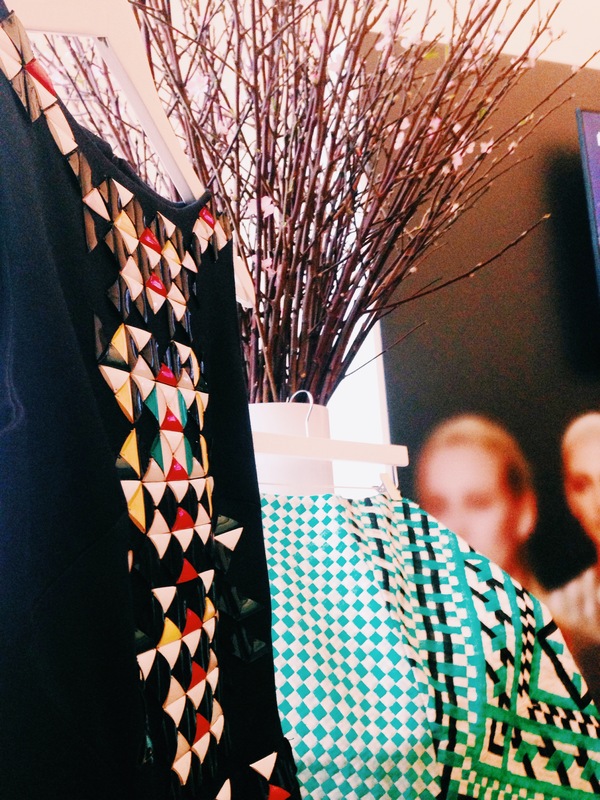 Stylion to Holly Fulton: Are you planning on expanding into a more affordable brand? I would need to expand the current line into a stable position before adding a more affordable line to the repertoire, however I would definitely consider it for the future!